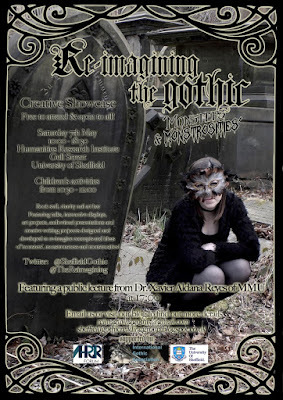 Calling all Goths! 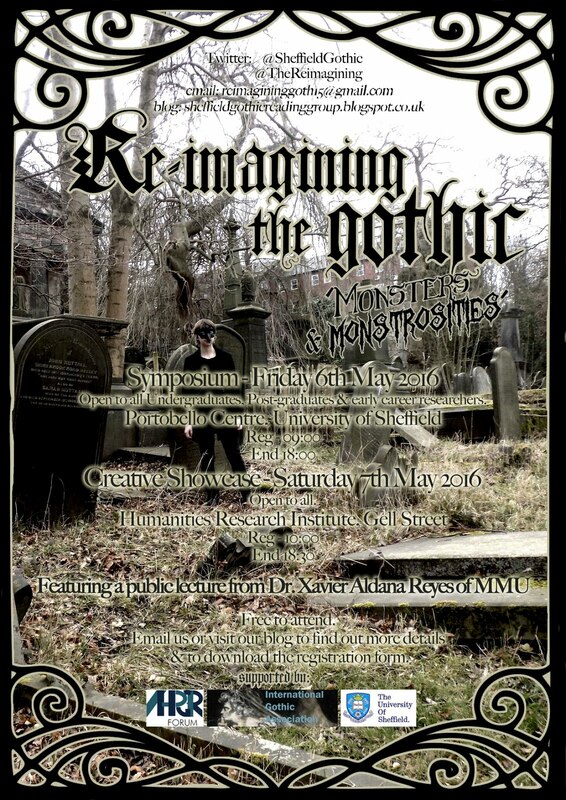 “Reimagining the Gothic 2016: Monsters and Monstrosities,” a two day Symposium and Showcase event, will be taking place at the University of Sheffield on May 6th & 7th. 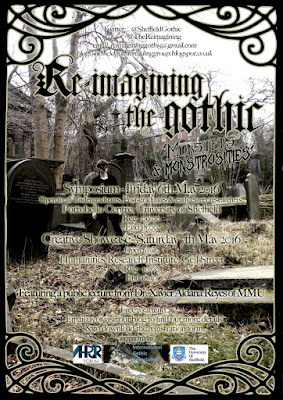 “Reimagining the Gothic” is an ongoing project, conceived and implemented by postgraduate students at the University of Sheffield, which seeks to explore how the Gothic can be re-read, re-analyzed, and re-imagined. We encourage both public interest and new academic avenues from students and scholars who wish to pursue and explore interdisciplinary and creative Gothic projects. In particular, 'monsters' and the ways in which monstrosity affects Gothic discourses are important potential spaces for academic and creative exploration. With “Reimagining the Gothic: Monsters and Monstrosities” we hope to reconsider notions of monstrousness, to explore how the idea of the monster has morphed over the decades, and to question its place within the Gothic. There are a limited number of seats available for the symposium so the numbers will be capped and attendance will be moderated on a first come, first served basis. Spaces for the conference dinner are now full, so that section may be left blank on the form. Please do not delay! 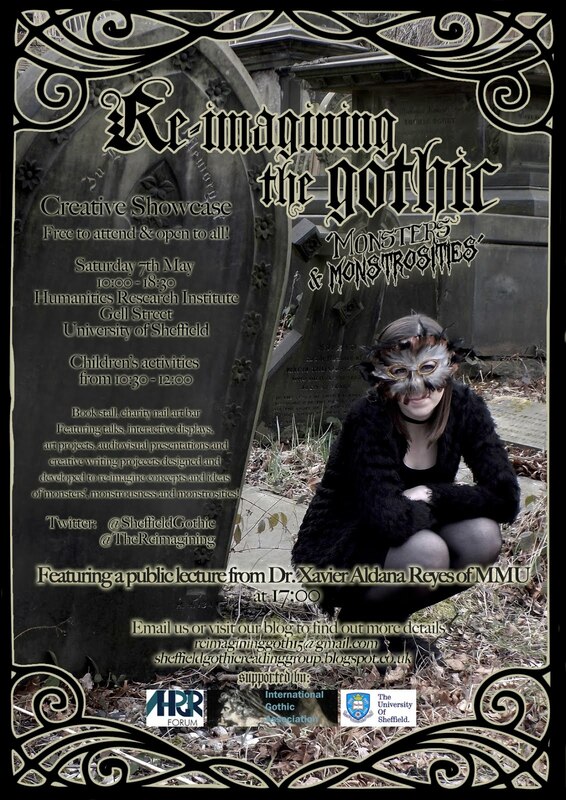 Email your completed registration form to reimagininggoth15@gmail.com today! Both the showcase event and the keynote talk are free and open to all, and no registration is required. We invite everyone to come and experience the wonderful papers and projects presented by our delegates, and hopefully discover new ways of ‘reimagining’ the Gothic!